After a heroic battle with cancer, Christopher Eugene Hill, 46, died at his Hanover, PA home with his loving wife, Jennifer, by his side. He is survived by his two devoted children, Amy Grace, 9, and Evan Christopher, 5. He also leaves behind his Mother, Judith Hill, and all of his brothers and sisters of the Prince George’s County Fire/EMS Department and IAFF Local 1619. Chris dedicated his life to the service of the community and his country. He served in the United States Army in the 3D Infantry Regiment (The Old Guard). Following his service in the Army, Chris continued his service to the community with the Naval District Washington Fire Department along with volunteering his time at the Baden Volunteer Fire Department. 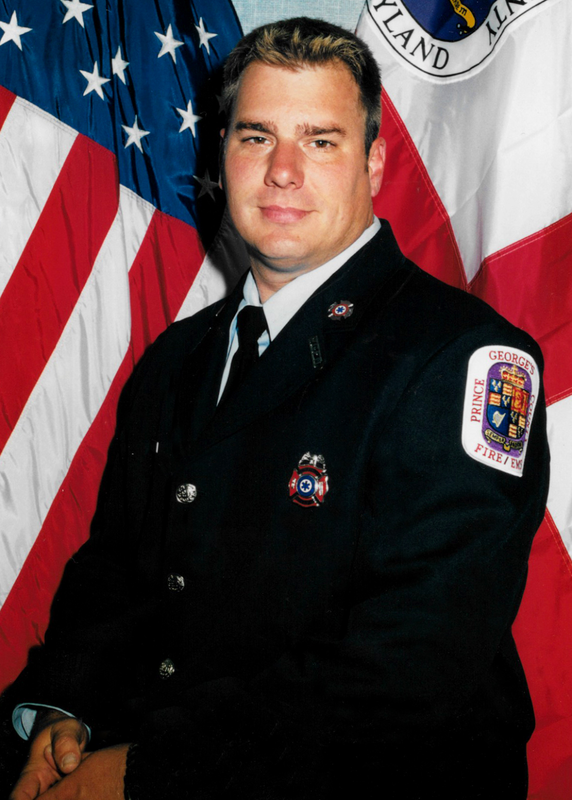 In 2002, he joined recruit class #31 of the Prince George's County Career Fire/EMS. With hard work and dedication, he rose through the ranks and finished his career as a Lieutenant at Station 823 in Forestville. Chris cherished his wife and his children. With numerous back yard soccer games, RV adventures and family movie nights, the Hill’s enjoyed their time together. Even after Chris’ unfortunate diagnosis, He felt being close to family was most important for Jen and the kids. He then began the process of moving from Maryland to Pennsylvania. Chris enjoyed a short few months in their new home before passing away. Prince George’s County Fire Fighter/Medic Lieutenant Christopher E. Hill will receive full military honors and a line of duty death funeral service. His form of cancer is considered occupational and service related. Viewing will be Tuesday, July 26, from 2 to 4 and 7 to 9 at the Borgwardt Funeral Home located at 4400 Powder Mill Road in Beltsville. Funeral Services will be held on Wednesday, July 27, at 11:00 am at the Riverdale Baptist Church, 1177 Largo Road in Upper Marlboro. After church services, a brief and limited vehicle procession will take Chris by his last duty station at the Forestville Fire/EMS Station 823. The procession will then proceed to the FOP Lodge located at 2905 Old Largo Road in Upper Marlboro where military honors will be administered. There will be no interment held Wednesday. 1133 Largo Road in Upper Marlboro. Please arrive no later than 9:45 a.m.
1177 Largo Road, at 10:15 a.m.
UPPER MARLBORO, Md. 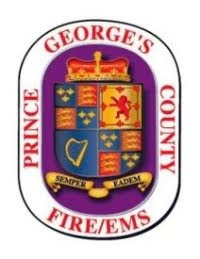 – Line of Duty Death Funeral services for Prince George’s County Fire Fighter/Medic Lieutenant Christopher Hill will be on Wednesday, July 27 in Upper Marlboro, Md. The funeral, with full honors, will take place at Riverdale Baptist Church located at 1177 Largo Road. Funeral service will begin at 11:00 am. Interment is private. UPPER MARLBORO, Md. -- Funeral arrangements for Redskins superfan Chief Zee will be held on Wednesday, July 27th in Upper Marlboro, Md. The funeral and viewing will take place at First Baptist Church of Glenarden located on 600 Watkins Park Drive. The viewing will be from 9 a.m. to 11 s.m. followed by the funeral service from 11 a.m. to 1 p.m. Both the funeral and viewing will be open to the public. The church holds 10,000 people. The two churches are 1.5 miles apart.